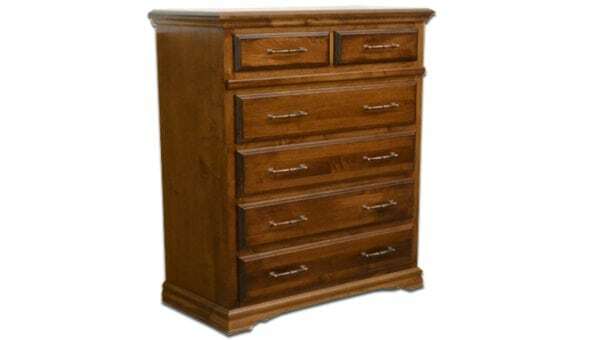 The Heartland Classic MidWall is an excellent example of Lincoln Lakes commitment to greatness in bedroom furniture. The Heartland Classic Midwall a great piece of bedroom furniture. It’s part headboard, part mirror, part dresser and all luxury. The primary headboard has sliding doors to place your remote controls or phones as well as a hidden compartment for your valuables. The dual cabinet design has multiple drawers, a vinyl covered hidden drink shelf and a cabinet with adjustable shelving. This piece of furniture takes up a similar amount of floor space to a bookcase headboard and nightstands with a smaller height profile than the Pier Wall. A fantastic combination of form and function. 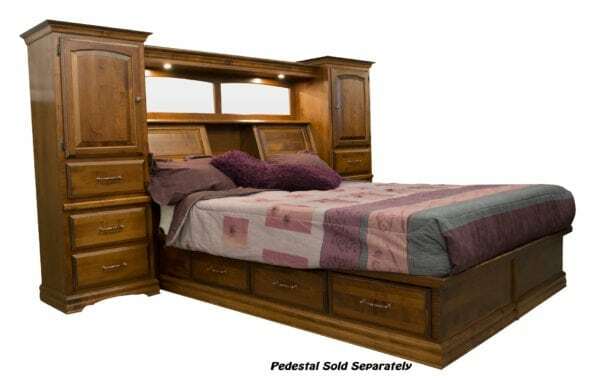 This can be paired with adjustable bases, a pedestal, or a basic bed frame.